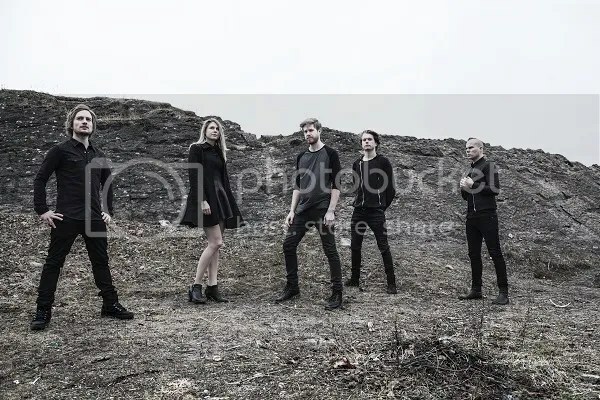 DARK ESSENCE RECORDS has announced that it has inked a deal with Swedish rockers ALFAHANNE – a considerable achievement for the relatively young band as it takes its place amongst the well established, and in some cases legendary names that feature in the Norwegian label’s roster. All the more so when you consider that ALFAHANNE have been able to attract the services of TAAKE’s Hoest, SHINING’s Niklas Kvarforth, and HELHEIM’s V’gandr as guest artist on what will be the band’s debut full-length album which is set to hit the streets in January of next year. Formed in 2010, ALFAHANNE’s debut release came in 2013 with the appearance of the “Grym” split 7” with Sweden’s SHINING. Playing what the band calls “Alfapocalyptic Rock”, which mixes Black Metal with Classic Rock and Punk, and topped off with some Goth influences, ALFAHANNE has created a style of music that is powerful and beautiful, yet ugly at the same time, and about which the band says: “When you are into it you don´t feel pleasure and you don´t feel pain but you definitely FEEL”. Although ALFAHANNE itself might be a fairly new name to a lot of people, the band’s members, which include Pehr Skioldhammer on Vocals and Guitar, Fredrik Sööberg on Guitars, Niklas Åström on Drums and Jimmy Wiberg on Bass, have been around the Black Metal scene since the early ‘90’s, playing in bands like VINTERLAND and early MAZE OF TORMENT. Skioldhammer in fact is one of the featured guest vocalists on the upcoming release from Niklas Kvarforth’s SHINING “8 ½ – Feberdrömmar I Vaket Tillstånd”, which will be released on Dark Essence Records on the 23 September. Commenting on the upcoming album and their collaboration with Dark Essence Records ALFAHANNE said: “The Mayan’s got it wrong about 2012, but we’re pretty sure we’ll be proved right when we say that the “Alfapocalypse” will happen in 2014 when the new album hits the streets. With ALFHANNE there is one way in and no way out”.